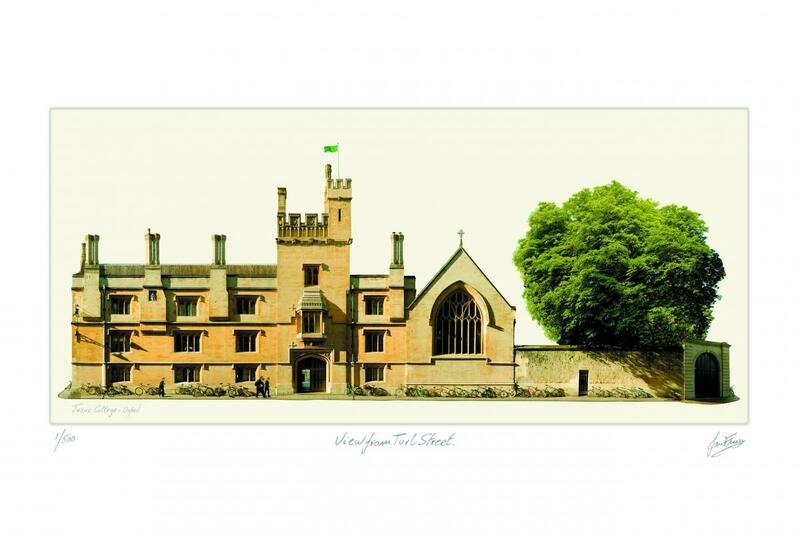 A beautiful limited edition contemporary architectural print of the front facade of Jesus College is available for purchase from VA Prints. VA Prints produce beautifully coloured and detailed contemporary architectural prints by Ian Fraser. The prints are unique to VA Prints and are made with the finest quality archival materials. They are individually numbered and signed limited edition prints and can be bought framed or unframed. The framed version of this print can be seen here. An unframed version can be seen here.